Work for Cisco Unified Contact Center? The highlight of using Cisco UCCX is the high customization with the product.It's easy to grow and scale the product as needed and the integration with CUCM is seamless. The program has auser friendly programming interface. Once you understand the logic it's simple to create scripts to do what you need. Once you create scripts, it is very easy to duplicate them and edit them as needed. The system is also pretty reliable as far as uptime. The system generates great reports to help you keep track on call stats for your agents. My only major dislike is the learning curve in getting the system set up. There are quite a few steps between getting a user from CUCM to UCC. The system also relies on LDAP integration heavily. This can cause issues with users logging into the system. Also, the hybrid mode for CAD and Finesse has a limited support life, so no upgrades until you've full migrated. I'd recommend investing in a training course on the scripting piece of UCC so you are not paying out money to vendors to make simple changes. Also, UCCX is suitable to most organizations unless you have a global presence. For organizations with a lot of agents and departments, UCC provides an easy way to manage your agents. The Call flows are easy to modify and consolidate as needed. The reporting tool has given our call center managers a deeper insight into how agents are performing and areas of improvement. In the recent versions of UCC, the switch to web based application Finesse rids administrators of the need to load software to workstations. "I'm an account manager in a call center that uses Cisco Finesse to manage our phones systems." I like that I can keep track of phone call stats, including talk time, dials made, etc. I like that the product is easy to use and is customized for our business. At one time we had some connectivity issues but I'm not sure that really had to do with our software as much as other issues within the building. As a user of this software, it does exactly what we need it to do. I'm not involved with the purchasing of this system for our company but I'd say for whatever it costs, it is reliable, has many features, and has been the standard in our company for many years. By keeping track of dials, talk time, and periods of activity, we're able to have better line of sight to how our team performs and achieves. "Reliable distribution of calls, with basic reporting"
The product has been rock solid. We have used it for several years now, and the application itself has performed flawlessly. The managers have been satisfied with the reporting and call metrics too. We have not developed the expertise to modify the scripts used on the contact center internally, so we are dependent on an external vendor any time changes our needed. As a result we have been reluctant to make modifications and have never leveraged the product anywhere near its potential. If you are a heavy user I would recommend you develop the internal expertise in-house to modify and improve your call flows. The product has been stable and has met our needs. If you currently utilize cisco phones and CUCM in your organization, this is a great option for contact center functionality. Time based call distribution between call centers. Call distribution among groups of operators. Call metric reporting, globally and per operator. "Solution that suits and fits all Business requirements"
Cisco Contact Center Solution Suite has options for SMB, Enterprises and Hosted options, which provide the required services with flexibility. If the Communication platform is Cisco UC, then Cisco Contact Center (UCC Express / UCC Enterprise) would be the best suited application with maximum compatibility and support. I like that I can see how many calls I have in que and who is taking calls. I like that I can also throw people into ready. Taking calls for a warranty support call center. It is beneficial to keep track of call volume. "Cisco Unified Contact Center keeps business going"
The ease of use if perfect. When working in a fast paced, telephonic environment, this product and the readily-available support team helps keep business rolling. Once in a while, a dropped call can occur but the support staff is always ready to fix it. 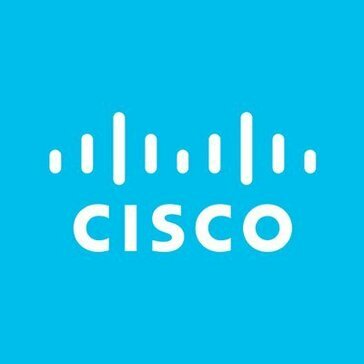 Cisco is a great product! A Cisco representative even attended one of our team meetings in person to answer any questions! We reach out to members regarding their health insurance benefits and connect them to health coaches and/or nurses telephonically. "Cisco Contact Center is evolving into a true Omni-channel contact solution"
None, ok look at Avaya if you have an existing Avaya and want to stay with a single vendor. This option allows us to scale to the customers needs. "Cisco UCCX 11.5 is highly recommended"
I have been running UCCX for over 15 years, and it has really come a long way from the early days. I like most that the UCCX is a highly reliable contact center. We have never had any type of outage unrelated to the network for as long as I can remember. If I had to complain, new releases sometimes contain bugs which can annoy end users. To circumvent that problem, I always wait for the first service release before an upgrade. We use contact center for our Help Desk and for high call volume areas. The statistics and reporting features are great, and combined with a wallboard like TASKE departments can get real time data on incoming calls and staff appropriately. "Using Cisco as part of our phone service in communicating with students"
The clarity and quality of the call run well because the Cisco headsets allow us hands-free communication with the contact center. Sometimes the student may not hear us until they switch from their car mode to headset/hand-held. The calls can be delayed in response time. We are able to archive urgent voicemails and playback those messages through Windows media. The use of use for someone that had no experience with this system before. Nothing has turned me off to using the contact center yet. I have only used it twice and so far so good. Was having a problem with my cisco citrix not connecting. Called the contact center and within 30 minutes the problem was figured out. Since I started working with my company, I have found very minimum problems with the network. I think we only had to contact tech support twice this year and that was when we having bad weather. "Smooth implementation & very easy to use"
I found that this system was surprisingly easy to implement and the implementation was actually completed on time and as expected. The reporting/analytics is also very good. We haven't had any issues with the system thus far, but I found the pricing options to be a little confusing at first. I would do a lot of training and really make sure that you have your system configured the way you want it to. Unless you have someone on your staff who is trained and able to make configuration changes, you will need help doing so later. We are able to streamline our call flows and processes by looking at a lot of different types of data. "Cisco Unified Contact Center Honest Review "
Cisco's products are built perfectly for a call center, especially when you have more than one call coming in. I am quite happy with the performance it has given me since I have been working with my company. As a company, we have not found any flaws with the product Cisco has given us. Best product to use! Hands down. Cisco Unified Contact Center has given us a lot of benefits, for example providing the best service we can ever get along with accurate information. So far, it has proven to be a little buggy and prone to lag. I feel like this might be an issue that will resolve with use and time. Contact center routing and employee tracking. Phone management software. My favorite thing about Cisco is that the software and phone systems are very user friendly. I honestly don't have anything that I dislike. I primarily use the phone system - the hardware Cisco IP Phone 7945 - and the software that connects my phone to the internet so that I can actually receive phone calls via my work email address. This is a huge benefit to me, because I almost always have access to my email but not my office phone. "It is a much better phone system compared to ones I’ve used in the past"
"Cusco Unified Contact Center Express"
Product integrates easily into Cisco UCM. Scales well from 1 to 400 users with one server or two servers for HA capabilities. Scripting editor is fairly simple to use. Latest version requires either a separate Cisco product (Mediasense), or a third party product for call recording. Contact with our customers is streamlined and with the latest versions being web based there is no cumbersome software to load on workstations and update. This is an easy to use integrated voice over internet phone (voip) system. Ability to set out of office and phone forwarding through the internet is nice and very convenient. Menus are pretty buried and requires some digging to get to the options that are desired (even though it is customizable). A few times I had to reset these options up which took some time to reconfigure. This is a telecommunication/phone solution that allows for remote access with forwarding and out of office options allowing for more freedom and confidence that you can still be alerted even when away from the phone/desk. "Cisco easy to use phone systems"
I like how you have the option to record your greetings before taking calls. It really saves employees, like me, time to breathe a little when experiencing a heavy call volume. Ease and reliability for call centers with high call volumes. Icons are old school... Aesthetics could use an update. I love being able to access all my contacts easily & place calls directly. I have only ever had one issue with this program & it was that it kept kicking me out. I had to remove the program & reinstall. It makes organizing important phone number & frequent contacts quick & effortless. I like that it is dependable and always available when we need it. I have no dislikes the product is strong and dependable. I believe it is a leader in the Telecom industry. I have zero complaints about the product. The use of softphones has eliminated the need for telephones that sit on your desk. Cost savings are always a plus. Superb company that provides a solution to intelligent call routing and interface between back office and front office. Sometimes it is hard to connect with a representative when you have an issue with software. We were experiencing a slow interface within our company pertaining to multi line calls. WIth Cisco we have had virtually no issues. "UCCX integrates nices into CUCM suite"
The scripting language requires specialized skills. Internal customer support for payroll, HR, benefits and IT support. "Good phone system that links to PC software to streamline workflow"
The simplicity of the functions and ease of use. Limited ability of expansion and addons. Definitely try before jumping in. For most it's what you'll need to accomplish simple tasks. Daily customer service questions, dispatching and problem solving. So far productivity has increased by about 40%. Absolutely love that I can get my voicemails in my work email! Would like more detailed options in messaging center. Much faster way to communicate then our old system. We are able to get things done much quicker and more efficiently. "Easy to use, meets needs"
Interface is easy to use and meets needs of managing phone system and contact integration. Login process can be clunky and can be difficult remotely if not setup correctly. Enterprise contact and telephone management. "Fair but could be more use friendly "
It is not simple for people to use, make it more simple. "Contact Center is an integral part of our environment for sales and support"
The product works as advertised and is a critical tool for our sales and support team. The admin interface is clunky but functional. Phone tree system that provides analytics. Easily change the status from ready to not ready. I don't think I disliked anything at all. Learning about Cisco Unified Contact Center? * We monitor all Cisco Unified Contact Center reviews to prevent fraudulent reviews and keep review quality high. We do not post reviews by company employees or direct competitors. Validated reviews require the user to submit a screenshot of the product containing their user ID, in order to verify a user is an actual user of the product. Hi there! Are you looking to implement a solution like Cisco Unified?